http://wkdbydesign.com/wp-content/uploads/2016/09/launched-nomoremowingie.jpg 666 1000 admin http://wkdbydesign.com/wp-content/uploads/2015/05/main1.png admin2016-09-30 14:58:172016-09-30 15:14:42The NEW website for NOMOREMOWING.ie is NOW LIVE! WKDbyDESiGN specialise in creating websites for Dental practices and Dentists throughout Ireland and in providing web hosting for Dentist websites. Having a professional website, both in terms of design and content, shows that yours is a progressive and modern practice. From a design point of view, it is your first chance to make a good impression and to instil confidence and credibility for both existing and prospective patients. Professional photography, elegant layout and user-friendly navigation are crucial in establishing and enhancing the face of your business. In terms of content, your website should provide reliable and relevant information addressed specifically to the needs of your clients. 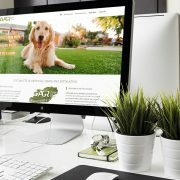 Changes in how Dentists can market their practice make having a website essential for the modern progressive practice. 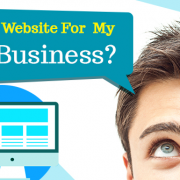 We charge just €165 PER YEAR for hosting your website. Some other companies charge more than that per quarter! Logo Design with up to 5 variations and a free 3d sample. Full Content Management Systems – allowing you to edit and grow your website directly. Search Engine Optimisation – to increase your client traffic and on-line ranking. Social Media Integration – share your posts and offers directly from your website. Full Training in your practice. Domain Name & Hosting registration or transfer for your website. 24/7 Support for piece of mind. 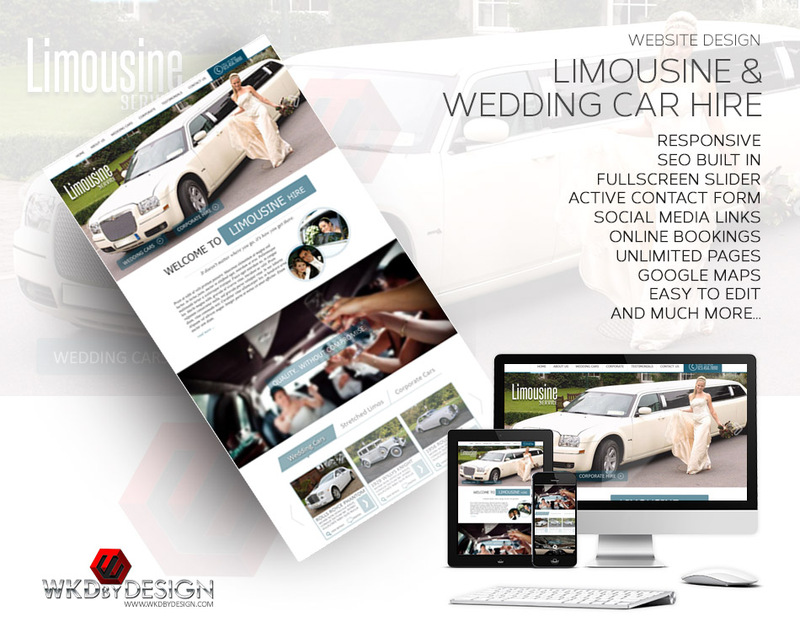 We were recently approached by a well known Limousine & Wedding Car hire company to come up with a new look for their website. It had to be easy to update the images and text. Also it needed to be search engine optimised and have social integration so they can promote their business through the social network. But most of all they requested it to be fully RESPONSIVE, because according to their websites analytic’s almost 45% of their visitors were viewing their site on a mobile or tablet. This has got to be the number 1 choice as the best design for a photographers website, or for that matter anyone, wanting a very slick looking site that is easy to customise. 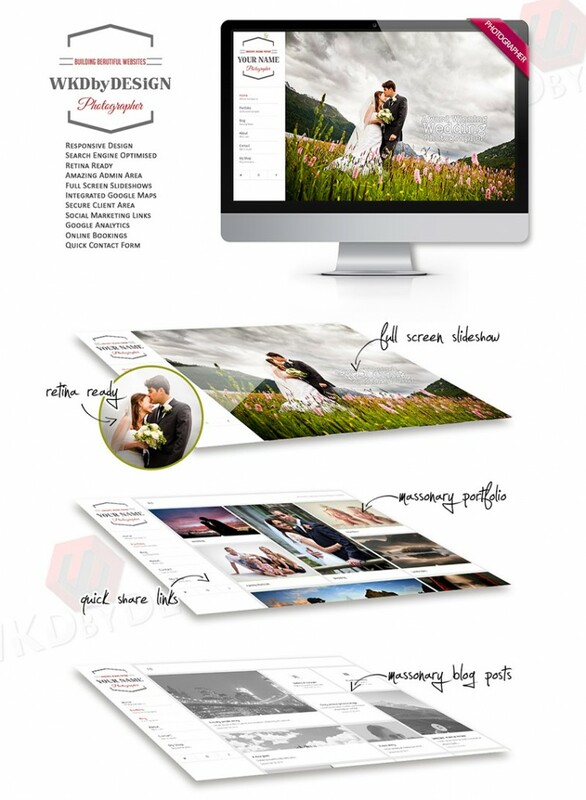 Masonry layout for your portfolio – its the cool thing these days! Gallery Designer – create unlimited image and even video galleries. Built in visual composer – basically, drag and drop to create and adjust your a webpage. Social Media Integrated – your one stop for all you social media posts. Just simple create a new post, then click on the links to share to all social networks. 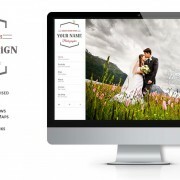 Full Screen Slideshow – create an amazing visual introduction to your site with this slideshow. Online Bookings – let the customer complete their booking preferences using the form which will be emailed directly to you.